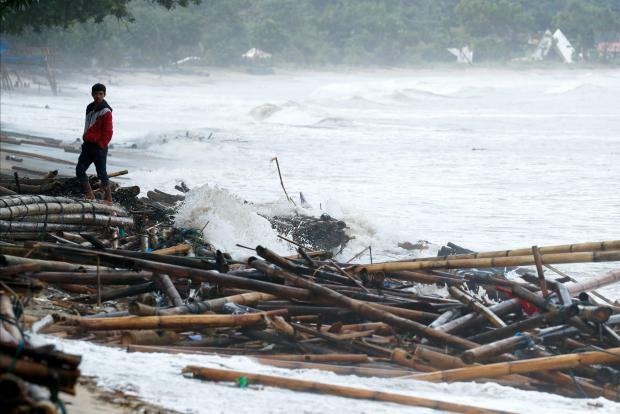 The death toll from a tsunami that hit the Indonesian islands of Java and Sumatra after the Anak Krakatau volcano erupted rose to at least 373 on Monday, officials said, as rescuers using heavy machinery and their bare hands searched for more victims. 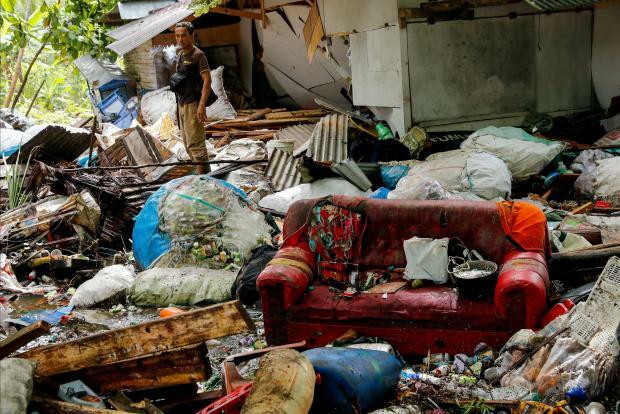 Indonesia's disaster agency had put the death toll at 222 on Sunday, with about 850 injured and 28 people missing, but raised it to 373 later on Monday. 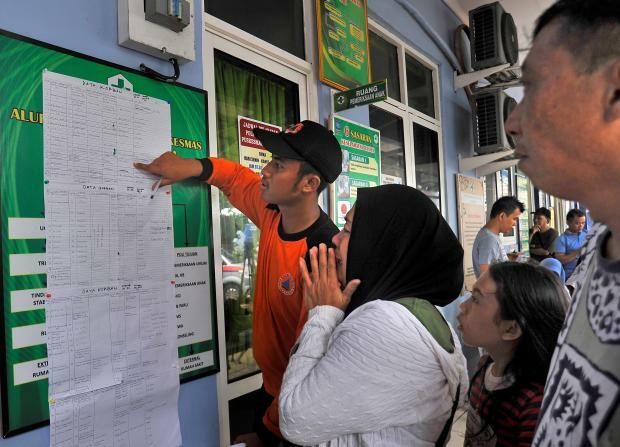 A disaster mitigation agency official in Banten province named Jhony told reporters most victims were Indonesian holidaymakers. 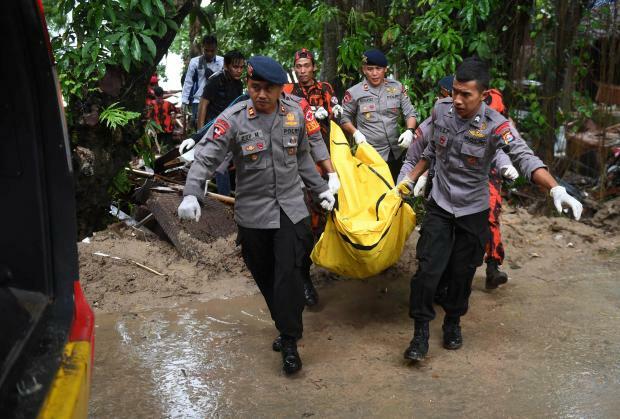 Dudi Dwiriadi, a district military commander, said personnel and volunteers had been briefed to sweep at least 100 km ]] of coastline in search of victims. The timing of the tsunami over the Christmas holiday season evoked memories of the Indian Ocean tsunami triggered by an earthquake on December 26, 2004, which killed 226,000 people in 14 countries, including more than 120,000 in Indonesia. President Joko Widodo, who is running for re-election in April, was scheduled to visit the area later on Monday. Many coastal residents reported not seeing or feeling any warning signs, such as an earthquake, on Saturday night before waves of 2-3 metres washed ashore. 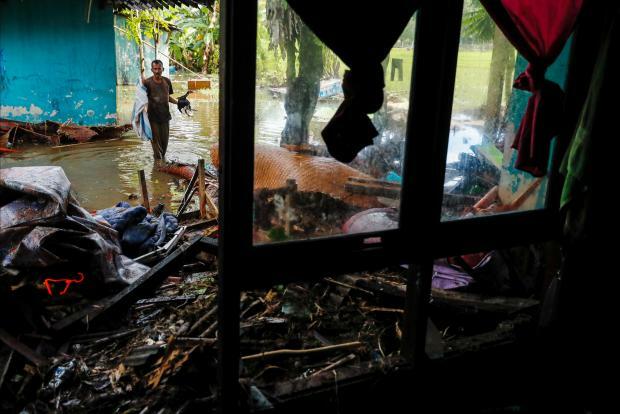 Yuni, a resident of Lampung in Sumatra, was watching television at home when she heard the water coming. 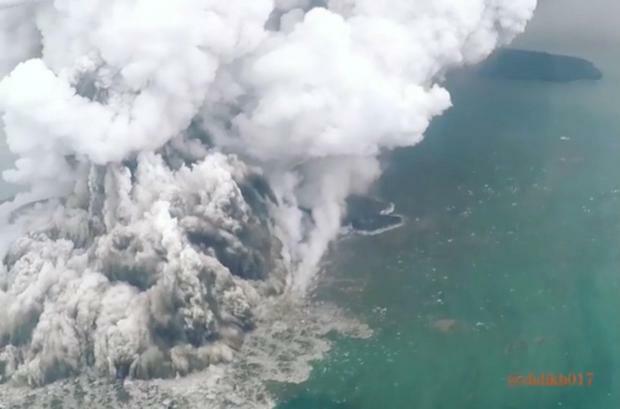 Roman, a resident of the area who operates tours to Anak Krakatau, said by text message the weather had been fine when the waves struck, although residents had become wary of the rumbling volcano. 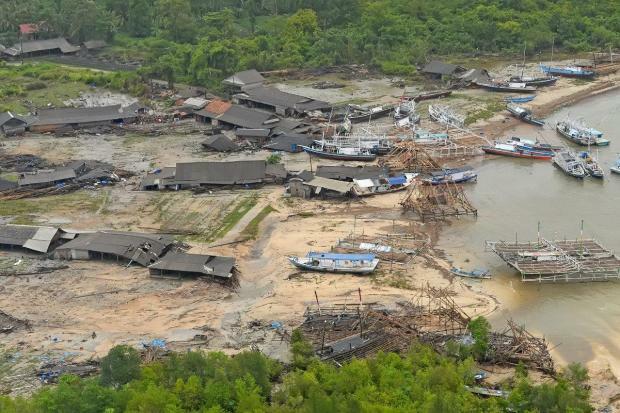 The tsunami was caused by an undersea landslide resulting from volcanic activity on Anak Krakatau and was exacerbated by abnormally high tides because of the full moon, Nugroho said.